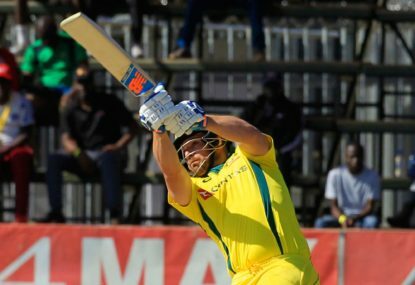 Last night, Aaron Finch pushed his case to be considered the best Twenty20 batsman of all time, as he blasted a world record 172 to lead Australia to a commanding 100-run win over Zimbabwe in Harare. The highest ever T20 score by a non-Australian is 125* by the West Indian Evin Lewis, yet Finch now has scores of 172 and 156* in that format. The new Australian captain’s career T20 record of 1530 runs at an average of 48, with a strike rate of 162 is arguably even better than that of Indian megastar Virat Kohli – widely considered the GOAT batsman in T20s – whose stats read 1992 runs at an average of 48, with a strike rate of 137. 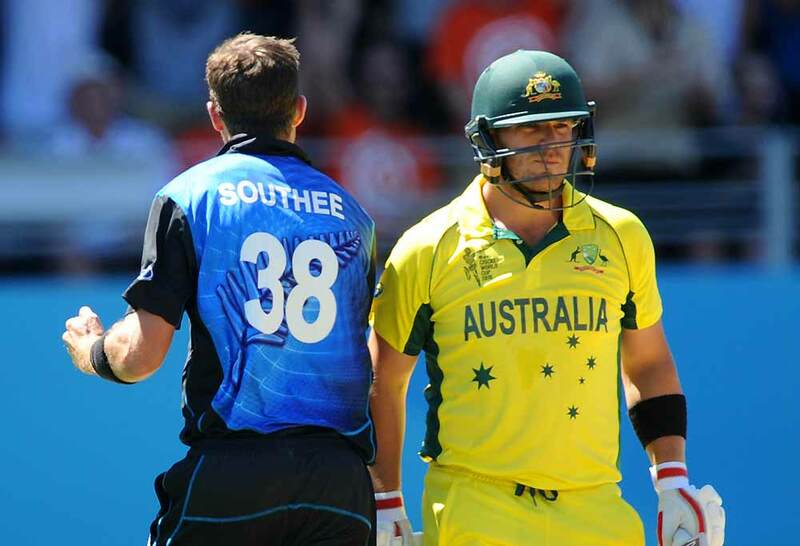 Finch’s incredible rate of scoring is what sets him apart from the other leading batsmen. Among the top 20 run scorers in the format, the next highest strike rate is 143, by the West Indian Chris Gayle, who still lags miles behind Finch’s mark of 162. Finch doesn’t just beat up on lesser teams either, he has a career average of 57 against the other four nations currently ranked in the top five – India, England, New Zealand and Pakistan. The 31-year-old was at his brutal best in Harare last night, leaving the Zimbabwe attack clueless as to how to halt the carnage. What made Finch’s monumental innings even more remarkable was that the pitch was by no means a road, with the ball regularly holding up in the surface. At the other end, Finch’s opening partner, D’Arcy Short, struggled for timing against both pace and spin, making 46 from 42 balls. Finch’s innings became comical after a period as he found the boundary when completely out of position and off balance. Even when reaching for the ball, seemingly about to fall over, Finch not only managed to find the middle of the bat but also the gaps in the field. It seemed that at some point surely he would mishit one to a fielder on the boundary, but that moment never came, no matter how hard the Zimbabweans wished. In the end, it took the rarest of dismissal forms to end the show. It was a bizarre end to bizarre innings as Finch toppled over while trying to cut a wide delivery from Blessing Muzarabani, only to be out hit wicket. Finch’s innings continued his mind-boggling form, having smashed 398 T20 runs at an average of 199, all at a scorching strike rate of 219. To get a sense of just how crazy that strike rate is, consider that it translates to a run rate of 13.1 runs per over. As I predicted five weeks ago, Finch could use the limited-overs tours of England and Zimbabwe to potentially become a dark horse for Australia’s next Test series – a tour of the UAE against Pakistan in October. With scores of 172, 68*, 84, 22 and 100 in his last five knocks, Finch is putting together the kind of scintillating limited overs form which has previously springboarded players into the Test team. With Steve Smith, David Warner and Cameron Bancroft unavailable for selection, don’t be surprised if Finch makes the squad. For the moment though he’ll be focused on leading Australia to a win in this ongoing tri-series against Zimbabwe and Pakistan. With two wins from two games, Australia already have one foot in the final and will likely face world number one-ranked Pakistan in that decider. Aside from Finch’s ballistic form, the Aussies will also be pleased with what they’ve seen from their bowlers. Quicks Billy Stanlake, Jhye Richardson and Andrew Tye have all been impressive, young spinner Ashton Agar has been extremely frugal, and all-rounder Marcus Stoinis has done a great job with his medium pace. They combined to bowl out Pakistan for 116 on Monday, before restricting Zimbabwe to 9-129 yesterday. Australia should now take great confidence into their final two matches of the group stage, against Pakistan tomorrow and Zimbabwe on Friday.